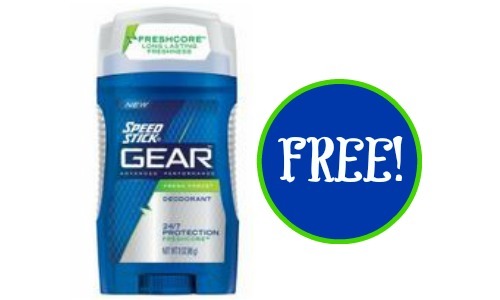 Don’t forget that starting 12/28, you can get FREE Speed Stick Gear Deodorant at Rite Aid! This deal doesn’t start for a few days, but go ahead and print your copies because they won’t last long. Pair the $2 off coupons with an +Up Reward to get this fun deal. This is a great item to donate too! If you have access to (2) computers, you can get up to (4) for FREE so don’t miss out.